Or, in other words, any throwing action is a combination (renzokuwaza) of those four actions. Just like when doing combinations, I bet if you examine your technique you will find that the more effort you put into attaining kuzushi, the less able you are to get into proper position (tsukuri), and that if you force the tsukuri then it will be harder to get kake. Finally, if you do manage to pull off kake by grunting your way through it you won't be able to get any semblance of zanshin. 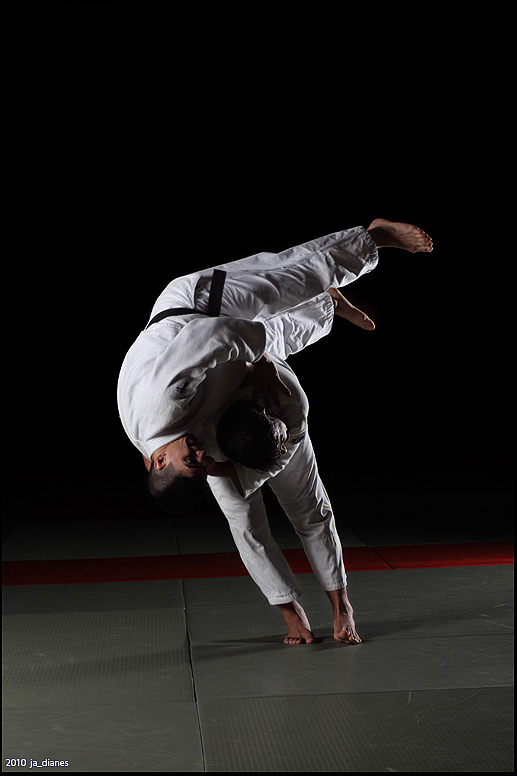 The purpose of kuzushi is to make it easier to do a technique. If you have to exert so much to get kuzushi that you make it harder to do the technique, then the kuzushi is useless. Thus, kuzushi is useless unless it is effortless.